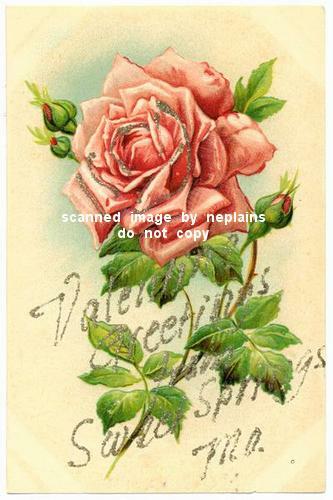 Valentine Greetings ... Sweet Springs Mo. Embossed Litho postcard, with glittered accent. United Art Publishing Co. Slight corner tip wear. Mild foxing.